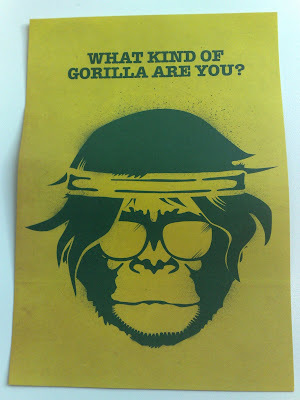 Gorillas on the streets of London! 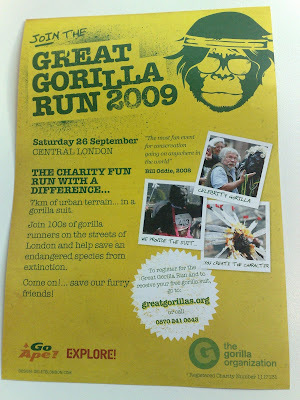 The Great Gorilla Run leaflet promotes the event website at greatgorillas.org and this also has links to various other social areas such as Flickr, MySpace, YouTube, Facebook and Twitter. I never thought taking a flyer from the street could reveal so much! Worthy cause and could be an entertaining day.